The NSW Cruise Development Plan was released by the Ministers Pavey (Roads and Freight) and Marshall (Tourism) last month. The Cruise Industry preference is for a site on Sydney Harbour such as Garden Island. Molineux Point is listed as Option 3, Yarra Bay as Option 4 and for the interim, Hayes Dock (leased by Hutchison). Five years ago , then Prime Minister Rudd announced that the Navy would move from Garden Island to Brisbane. There was also mention made of the Cruise Industry using part of the site. The current Prime Minister has said the Navy will stay and not share with the Cruise Industry. Is the Yarra Bay Option simply a ploy to get local MP Matt Thistlethwaite to lobby his Leader, Bill Shorten, and Shadow Defence Spokesperson, Richard Marles, for the Cruise Industry’s preferred option on Garden Island. At the Port Botany Community Consultative Committee held 7th August, members were advised by the Port Authority representative that the Port Authority and Treasury were conducting a feasibility study into Options 3 and 4 and were due to report by November. 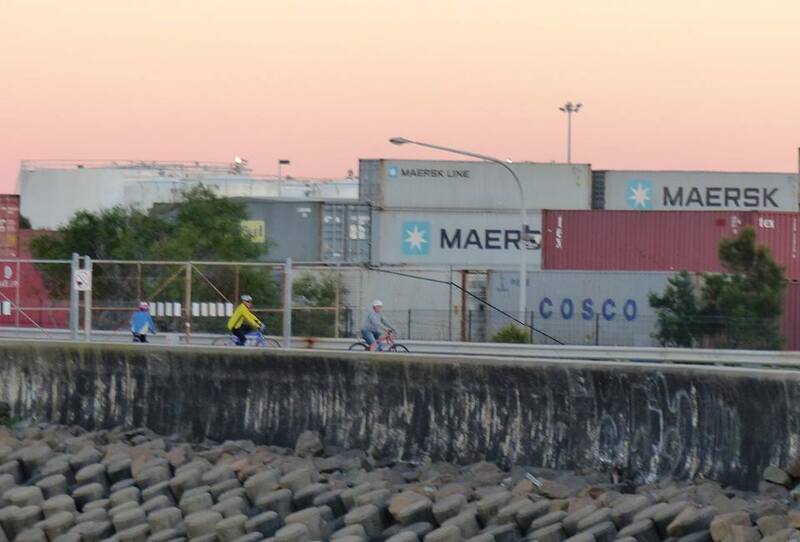 The representatives from Hutchison (long term lease holder of Hayes Dock), NSW Ports, Randwick City Council, DP World and tenants near Molineux Point said they had not been consulted. The manager at Elgas provided an update on their Major Hazard Facility review. Elgas is located near Molineux Point along with two other Major Hazard Facilities. This entry was posted in Uncategorized and tagged CRUISE, Plans. Bookmark the permalink.